Is your vehicle ROADWORTHY? If you haven’t had your vehicle serviced lately, getting a service done before a big trip is advisable. 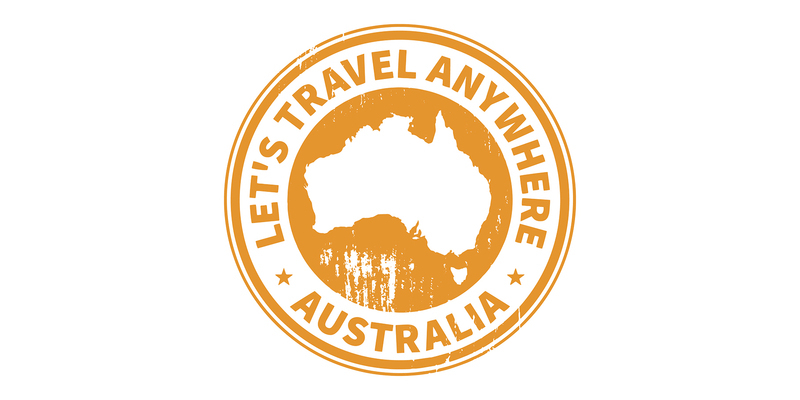 The last thing you need is to breakdown in outback Australia. Is your tow vehicle suitable to carry the particular load? Make sure you know your towing limits & check your ball weight with the Proseries Ball Weight Scales. Are your Tyres inflated enough? Check what the recommended tyre pressure is for your vehicle when towing. General rule is that all tyres including your spare, should be inflated to about 15kPa above the normal tyre pressure. WHEEL BEARINGS: Jack your caravan / trailer, one side at a time. To check the wheel bearings grasp the tyres and give it a rock. If you feel that there is excessive movement make sure to book your caravan / trailer in for a service. LOAD MASS: Always ensure that you load is under your limit, you never know what you might accumulate over your travels. It is always best to weigh the caravan at a public weighbridge. Check the caravan / trailer’s suspension, does it look right? The load needs to be evenly distributed & balance. BRAKES: Perform a couple of low speed brake tests to make sure that you caravan / trailer brakes are functioning properly. THIS IS A MUST.. you do not want to be travelling at high speeds before you realise your brakes need adjusting. LIGHTS: Are all of your lights working? Check your brakes, right & left indicators, park lights, tunnel boot, awning, grab handle, doorway, cupboards, fridge, bathroom, check EVERY light. Always carry spare globes for your internal & external lights (especially brakes & indicators). 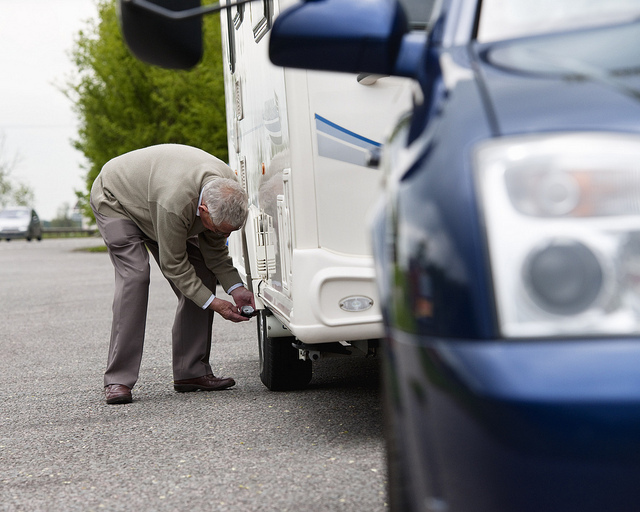 TYRE INFLATION: Are the caravan / trailer tyres inflated correctly? Refer to your caravan / trailer manual for correct pressure, alternatively contact your local caravan repairer. CARAVAN/TRAILER COUPLING: Check that the coupling and safety chains securely fastened? When you have 2 safety chains fitted make sure they are crossed as this will prevent your drawbar from having contact with the road if your van gets disconnected. CHAIN FIXING SHACKLES: If your caravan / trailer requires the use of D Shackles, ensure they have adequate strength to hold the ball weight. BATTERY: Always charge your batteries a few days prior to your departure to make sure they are holding their charge. LOAD: Make sure that your load is stored securely even in side cupboards & storage areas. Evenly disperse your load throughout your caravan, limiting the amount of load in the front boot. MIRRORS: Firstly make sure you do not buy cheap towing mirrors, if you do always carry an extra pair because you are bound to lose them. Secondly please be sure to secure your mirrors properly. AWNINGS: Roll out your awning before each trip and check nothing has broken while in storage or on your last voyage. Secure the awning back into the travel position. JOCKEY WHEEL: Don’t leave your jockey wheel in your driveway!! Ensure you have put your jockey wheel into your designated storage area or if it is on a swivel mount, lock it into position to travel. STABILISERS: Lock your front & rear stabilisers up into their travel position & store your winder in your preferred place (you want to be able to access this easily). HANDBRAKE: Always release your handbrake last right before you are going to head off.